Improving the efficiency of offshore wind turbines. The world’s newest and most powerful offshore wind turbine drive train test facility has enabled UK SME GyroMetric Systems Ltd. to develop a new product that will improve the efficiency of offshore wind turbines. GyroMetric, a spin-out from Nottingham Trent University, partnered with the Offshore Renewable Energy (ORE) Catapult to develop and prove an innovative condition monitoring technology for application in offshore wind. Already an established presence in the maritime sector, GyroMetric saw an opportunity to transfer their drive shaft monitoring technology and use it to enhance the efficiency of offshore wind turbine drivetrains. 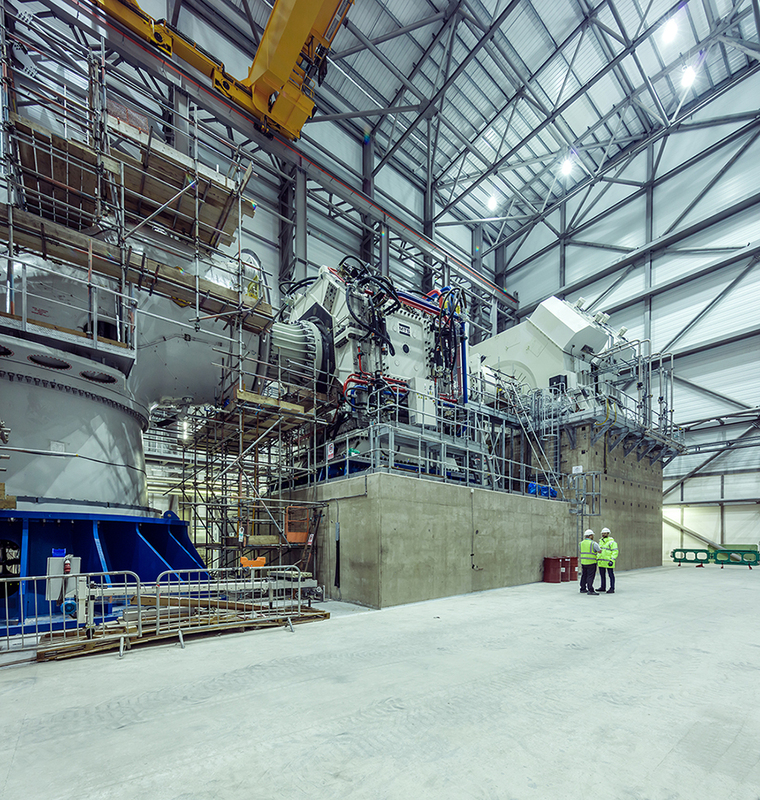 GyroMetric’s product has been put through its paces during the commissioning of ORE Catapult’s Blyth-based 15MW drive train facility, the largest and most powerful of its kind in the world. Installed on ORE Catapult’s 7MW nacelle, the GyroMetric team has collected data as a result of monitoring the bearings, gearbox and couplings. Working with ORE Catapult’s drivetrain experts, GyroMetric’s technology has been tested to improve the understanding of the behaviour of the components in use, with a view to increasing the efficiency and output of the turbine, whilst reducing the requirement for unplanned maintenance. Since testing started, GyroMetric has also secured a significant investment, helping the company to further grow and develop its technology. GyroMetric has sought to overcome the challenge that the dynamic (or input) torque of rotating devices, such as those found in large-scale wind turbines, is notoriously difficult to measure. The company has developed an ‘incremental motion encoder’. The encoder includes a unique algorithm to calculate shaft position and torsional twist, helping operators to measure drivetrain efficiency more accurately. In addition, the system can alert turbine operators to faults in the drivetrain. Chief Executive of GyroMetric David Orton commented: “We are delighted that we have been able to run effectively our new digital monitoring technology collecting data on the 7MW nacelle at ORE Catapult. Improving the operating efficiency of wind turbines and reducing maintenance will enable increased output and reduced energy costs, which is good news for both operators and energy customers.